As well as Noosa, we also frequented a couple of other stops along the Fraser Coast. Depending on where you are catching your Fraser Island tour from, you probably only need to visit one of these if you are short on time. 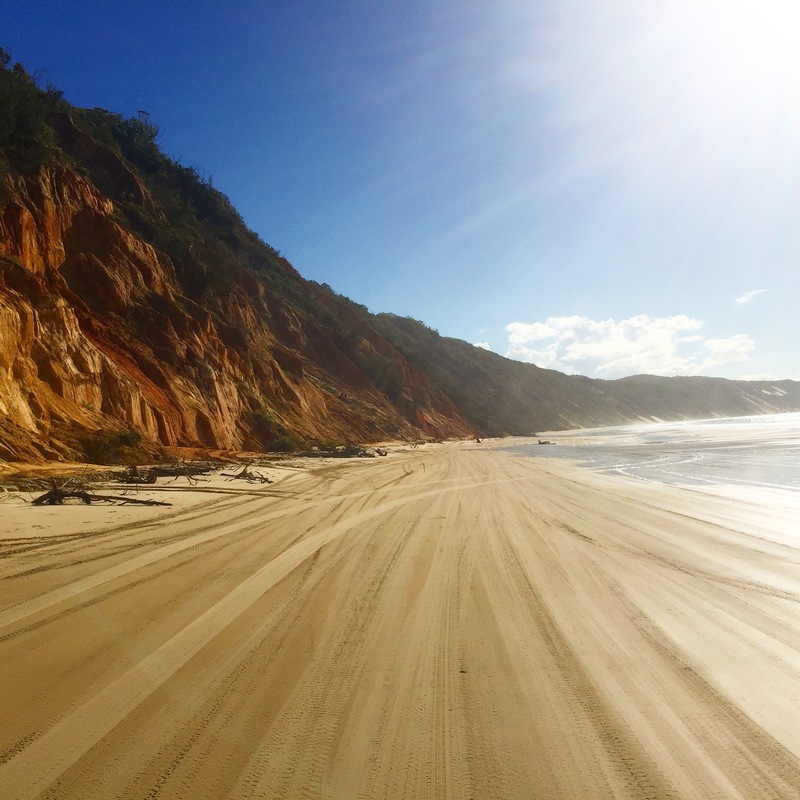 As mentioned in my Fraser Island post, Rainbow Beach is a tiny town that has few shops and hostels but a stunning beach and hosts the main ferry over to Fraser Island, which is only a ten minute journey. During our Island tour we actually drove down the main strip of sand at Rainbow Beach, as the waterfront is also a highway. While you may not fancy sunbathing with 4×4’s roaring past every 15 minutes, the multicoloured sand cliffs are stunning to look at and it’s quite unbelievable to know that the entire cliff face is in fact sand. The surrounding beaches are also equally as beautiful. Pronounced ‘Harvey’, this Bay has a beautiful beach and a very appealing Esplanade with shops and restaurants along the beach front. We stayed in a caravan park right on the sand a ten minute walk from the centre, which was run by a very nice couple who made us feel very welcome during our stay. This is a great place to do a Fraser Island tour from, as there is enough to keep you occupied for a few days! There are also whale watching tours between July and November, which we unfortunately missed by a month!